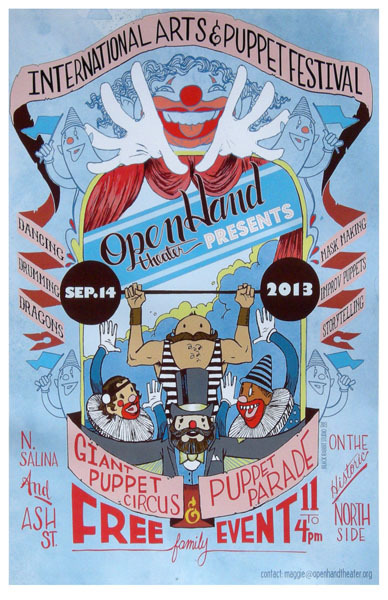 Promotional poster by Cayetano Valenzuela for Open Hand Theater's 2013 International Arts and Puppet Festival. An adventure in classic sign painting. 11 x 17-inches, laser printed on heavy weight paper.